Do you know what I like? Yes, I do like Scotch, but something else. Yes, I like beer too, and that does come into the story a little, but we’re not looking at booze. Giving up that easy? Well, okay, what I like are incredibly attractive women called Katherine, or Catherine, who inexplicably want to sleep with me. What I don’t like are nightmares where I’m about to be murdered by said Catherine – or Katherine. Naturally, being a red-blooded male with the misfortune of being British, meaning I have to suppress all sexual desires and public displays of interest in other human beings, Catherine is a game right up my street. Back when it was released in 2011, it ticked all of the boxes. The cover art was this, it was by Atlus and it was a Japanese game that followed all of the usual sensibilities of quirky Japanese games – that is to say, it was utterly messed up – and it also promised to show somebody else in a messed up relationship, not me. I was in! Make that a huge asterisk as well, because I’ll be damned if anybody comes complaining to me when they’ve smashed the ever-loving hell out of their keyboard or – if they’re like me – Xbox controller which happens to be plugged into the PC. Why? Because Catherine is difficult. No, not just difficult, incredibly difficult with a difficulty curve like running into a brick wall. A brick wall that looks like a monstrous version of a girl you just slept with but has razor-sharp teeth around her arse hole. Maybe it’s just you? Yes. You are the difficulty curve. As strange as that may sound, it is true. 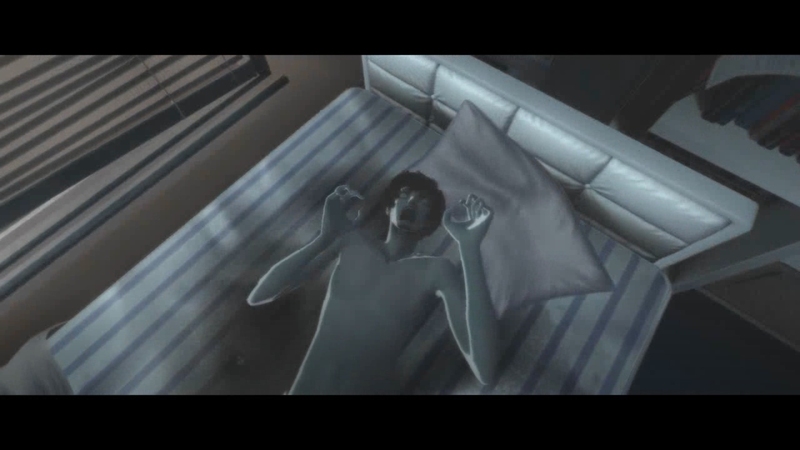 In reality, Vincent is the cause of the difficulty curve in the actual challenging side of Catherine. All of this follows the story of the main character, Vincent Brooks. Vincent, the most inept person in the world, is feeling a little restricted. His girlfriend, the responsible, stable but somewhat controlling Katherine wants to take their relationship further. Like any stereotypical man-child, he’s afraid of such commitment. Along comes the attractive and sexually available Catherine. Vincent, perpetually fumbling his words when speaking to anybody with breasts, manages to omit the fact that he has a girlfriend and sleeps with Catherine. This is all covered through the majority of the non-puzzle sections of the game. This is where the dichotomy of Catherine comes in. It’s hard to say there’s a real part of the game because both are intertwined so well but for argument’s sake, we’ll say the puzzles are the real part. This other area, either they take place in cutscenes, in a bar you can walk around and talk to the other patrons or at landings in between puzzle levels where you will talk to sheep as well as answer questions based on your own personal experience with life and relationships. I think I failed this part. The bar, naturally called The Stray Sheep, is an area you can walk around and talk to a group of people as well as receive and send text messages, play a minigame that is – of course – about block climbing, watch TV, play some music on the jukebox and naturally go hide in a toilet cubicle to look at some fairly racy pictures that Catherine has sent you. Acting in a similar vein is the landings where you offer some soothing, or not so soothing words towards a group of talking sheep as well as answer the aforementioned question. How you respond during the conversations in the Stray Sheep and on the Landings, as well as how you answer the question given to you before moving landings directly influences a meter that leans either towards Law or Chaos. This is probably the biggest problem with Catherine as well as almost every game with a meter. Humans are complex, where nobody is truly at one end of any scale. We have nuances so the problem with answering how you would honestly answer could leave to a fairly poor ending. Of the endings, there are only really a few that are genuinely classed as being True endings. Out of the eight endings for the core story, with a ninth, if the extra content is completed, only three are considered true endings. There’s a true ending for Katherine, Catherine and Freedom. Both Catherine and Katherine also have good and bad endings. All of this is based on the aforementioned meter and to meet these endings you have to be completely one way or the other depending on the character. What I can say is that the story does take a few interesting turns and develops on the characters well, particularly when secrets and story points are introduced later on. The endings, particularly the true ones, are genuinely brilliant. Though frankly, the story is brilliant throughout thanks to a witty but not over-the-top tackling of adult themes in a strong manner. This, alongside the side story and multiple endings, makes it more than worth coming back to. Fortunately, if you get a gold rating on a puzzle section you can skip it in a later playthrough which makes progressing through the game for another ending infinitely easier. Getting this gold rating is easier said than done though. Early on it’s not too bad, you’re led into a false sense of security. Very quickly does the game take that sense of security and butcher it using forks, spikes, chainsaws, teeth, falling blocks and Sheep that just won’t get out of the bloody way. Across the 9 levels that make up Catherine, there are a total of 28 stages. To say that the difficulty ramps up is a grand understatement in the same way that saying the Sun is a tad warm. It’s only made more awkward by a camera that only has limited directions and controls that are still fiddly as hell when you hang off of the back of a block. Fortunately, the rules are simple. You have to climb to the top of a tower of blocks. They can settle on top of each other or, defying the laws of physics, attach diagonally. It allows for some inventive bridge-building and climbing. You can move these blocks around by pushing or pulling them. Okay, some of the blocks. Some blocks can’t be moved. There are other special blocks too. Some will crumble when stepped upon. Others have spikes that will pop up and do very nasty things to Vincent. There are also other blocks with a variety of features, from a trampoline effect to an ice block that will send you sliding to your demise if stepped on wrong. In addition to these are pickups like gold coins to spend at the landings, though this directly affects your score on the next stage so it’s not worth it if you want a gold ranking. What you can buy can also be found in the towers, allowing you to place down a block at the touch of a button, to bring down a bolt of lightning that kills all sheep currently visible. Early on, these sheep aren’t too much of a nuisance, just being fodder to your any aggressive whim. Later, you’ll be shredding every bit of woollen clothing you have in a fit of rage. Fortunately, you have a number of lives that can be increased through pickups. If you lose them all though, well it’s funny to see what happens. Finally, the other enemy is simply time itself. Or, a combination of time and the horrible creatures conjured up by Vincent’s current fears. From a simply angry Katherine that wants to skewer you, to a naked demonic Katherine. Or, even worse, the aforementioned teethy arse that now only makes me wonder if the developers watched Teeth while designing the game. I hesitate in saying more because the bosses indicate to key elements of story progression and it’s always worth finding that out for yourself. Another major positive for Catherine is, despite it being six years old and a previous generation game, it has aged well visually. Remembering that this is the classic version, with only small updates to bring it to the PC, I still love the look of the game. As a result of the visual design being similar to that of an Animé, it still looks great. It’s bright, colourful and is simply a great game to look at. More than that, it’s a pleasure to listen to it too, thanks to a fantastic cast of voice actors including Troy Baker pre-Bioshock Infinite & The Last of Us fame and the excellent Laura Bailey (TellTale’s Game of Thrones, Gears of War 4 & Uncharted 4). Also included in Catherine Classic is the original Japanese voice acting, which is always a huge bonus for fans of Japanese titles. I can’t repeat enough what I said earlier. Catherine requires a huge asterisk at the side of any yes recommendation. Catherine was and likely still is an incredibly polarising game. 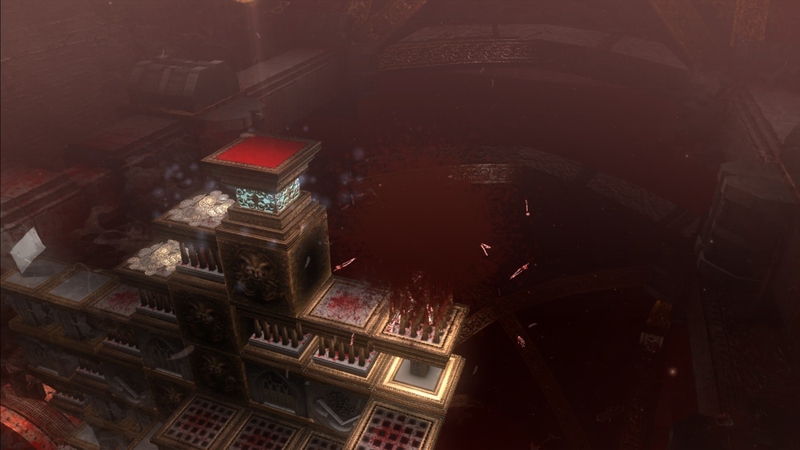 Incredibly challenging and unforgiving puzzle games aren’t for everybody. Neither are adult romance-stories in an adventure-visual novel style game. Having read what you’ve just read, it’s no secret I love Catherine. Is it perfect? No. Is there something about it that means even after six years, going back to it still leaves me laughing, smiling and ball-clenchingly frustrated? Hell yeah. Unique and interesting game and premise. Fun, interesting story and characters with a variety of interesting and compelling endings. Challenging puzzles that, unless on the highest difficulty, give enough of a chance to work your way through. 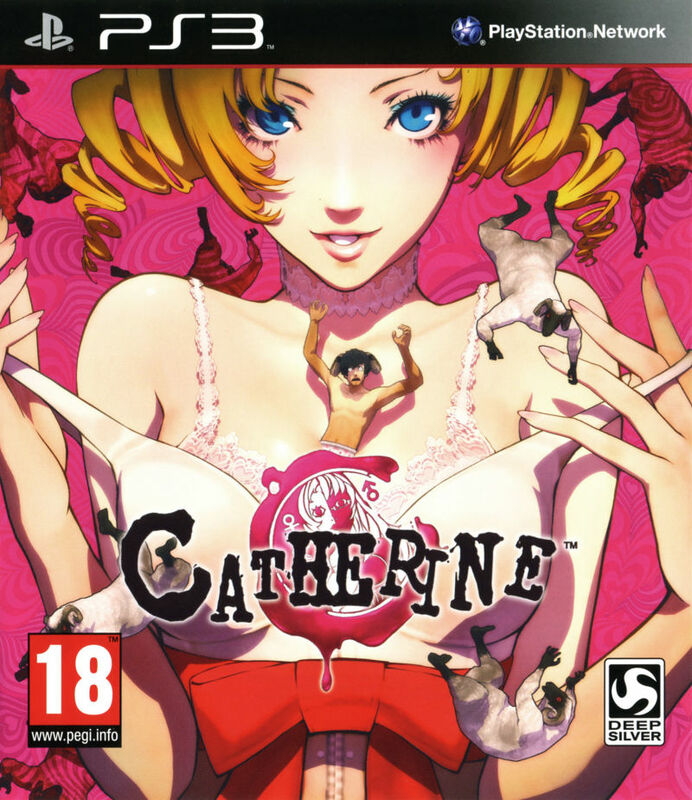 Catherine has aged well thanks to a colourful Animé style visual design. The Camera and controls are still annoying, fiddly buggers that don't seem to want to let you see or do what you want to. Some of the endings do feel a little off, especially when you know there are the so-called true endings.